I came across this post a couple of days ago and wanted to share it with you guys! It’s a friendly reminder that progress takes time and is an accumulation of the decisions you make. Often times, people want to see results in a matter of days or weeks but that’s simply not the case. The meaningful results and outcomes are built on the small decisions we make over time. It’s easy to lose sight of your goals since improvements can be hard to see day to day, but it’s times like these where it’s important to look back and see where you’ve started from. 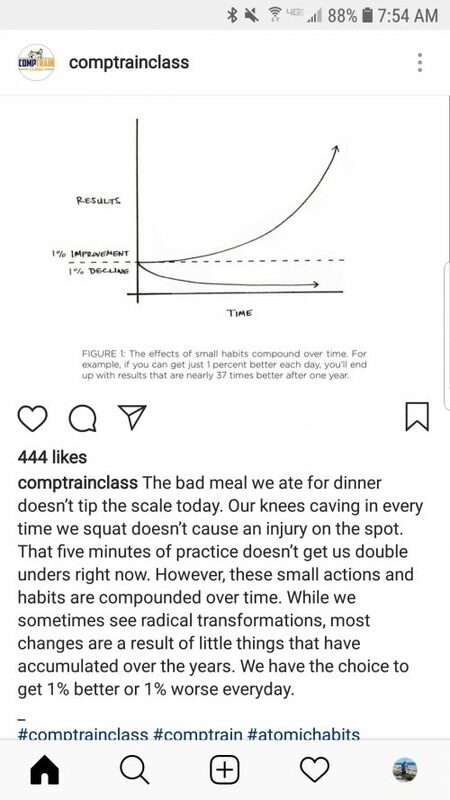 I can speak for all of your coaches and say that each and every one of you continue to make significant gainz day to day even if you don’t see it yourself. Come talk to us and we can show you where you’ve made those improvements! 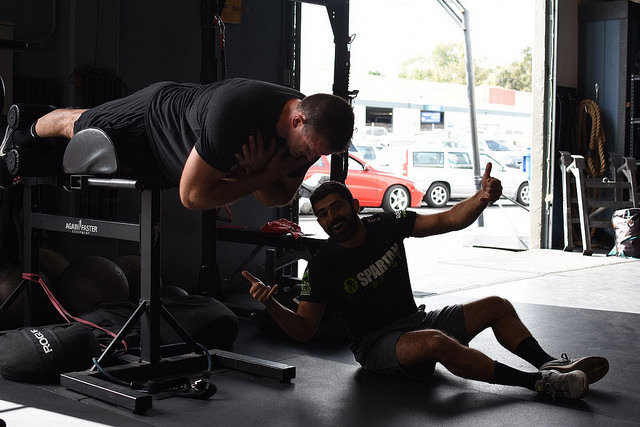 So I encourage you guys and gals to continue to put in a few extra minutes before or after class to work on some strict pull ups, core work, or even just empty barbell drills regardless of how long you’ve been exercising for. The decision you make doesn’t even have to be “physical” in the sense. Taking a few minutes to meditate at the beginning of the day, compliment someone, or take a moment to appreciate your surroundings can create positive transformations down the road in the “emotional” or “mental” sense. I for one will continue to work on the little things such as my flexibility and mobility so that I can continue to hangout/workout/coach as many of you as I possibly can! That’s all I got, a short and sweet post to get you guys going in the right direction. Remember, meaningful improvements and outcomes take time! Make those small positive decisions each day and be patient. Everything will pay off, it’ll be great! Enjoy!